One of the longest, closest partnerships in modern music has ended in a police investigation and phone silence on all sides. For 32 years, the musical career of Sir Peter Maxwell Davies has been administered by a London manager, Judy Arnold, with ferocious impact. Max, 72, won more commissions than any other British composer and more orchestral attachments. When the post of Master of the Queen’s Musick fell vacant in 2004, he was a shoo-in for the honour. Judy Arnold’s thumbprint is on his every work. His music is actually catalogued in ‘J’ numbers – J for Judy - and his website is under her control. With Max composing on a remote island in the Orkneys, Judy was his point of contact with the world. Max dedicated his first string quartet to Judy and a choral work, Angelus, to her husband Michael, who is believed to have looked after his financial affairs. Rumours of a rift surfaced last November when the Intermusica artists agency announced that it was taking over Max’s management, following Judy’s ‘retirement’. All work stopped on the Max website. 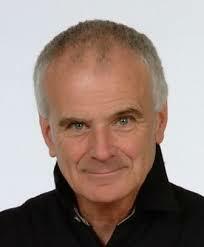 This week, the Metropolitan Police and the Northern Constabulary let it be known that they had arrested a man of 73 and interviewed him at Notting Hill police station in connection with an alleged fraud, reported on behalf of Sir Peter Maxwell Davies. The man, Michael Arnold, has been bailed to return for further questioning next Wednesday. It is alleged that half a million pounds is missing from Sir Peter’s business account. That’s an awful lot of money for a serious composer, more than most of them earn in a lifetime. It demonstrates how successful the Max and Judy partnership has been, how symbiotic their shared ambitions. That the alliance should end in this way must be wretched for all involved. No further comment is presently advisable but, when all is done and dusted, eight J symphonies and ten string quartets will stand as a proof of this prodigious musical alliance.